Scuba just got interesting! Introducing digitally printed giant knitting, dark moody embossed florals and lace embossed. Can we start off by noting just how cool this giant Knit print scuba is?? 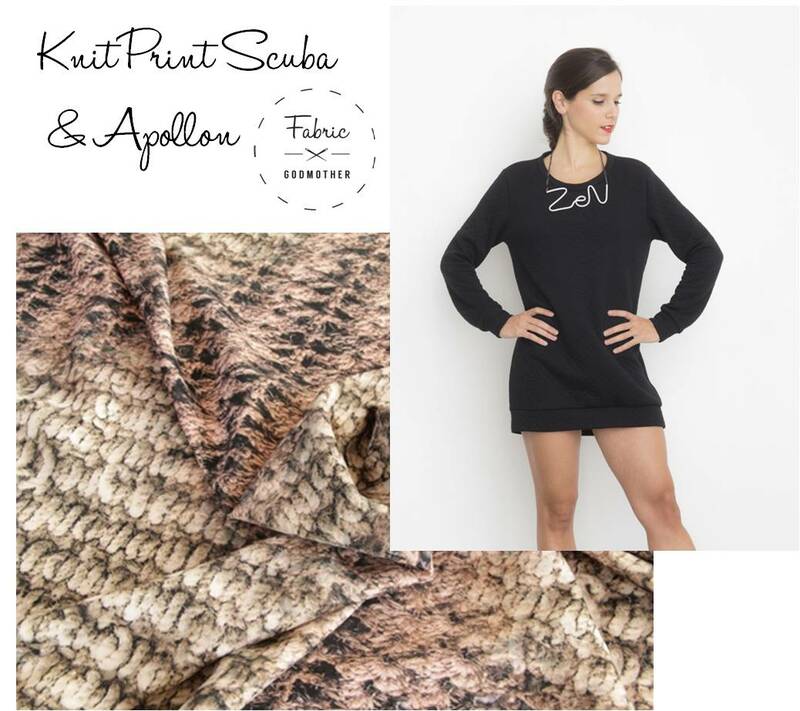 Play to the fun element of this fabric and make an Apollon oversized sweater dress. The new pattern from the lovely ladies at Gathered is the Aziare featuring a very cute peplem. Make it in the top or dress length using this Navy embossed scuba for a prefect day to night outfit. 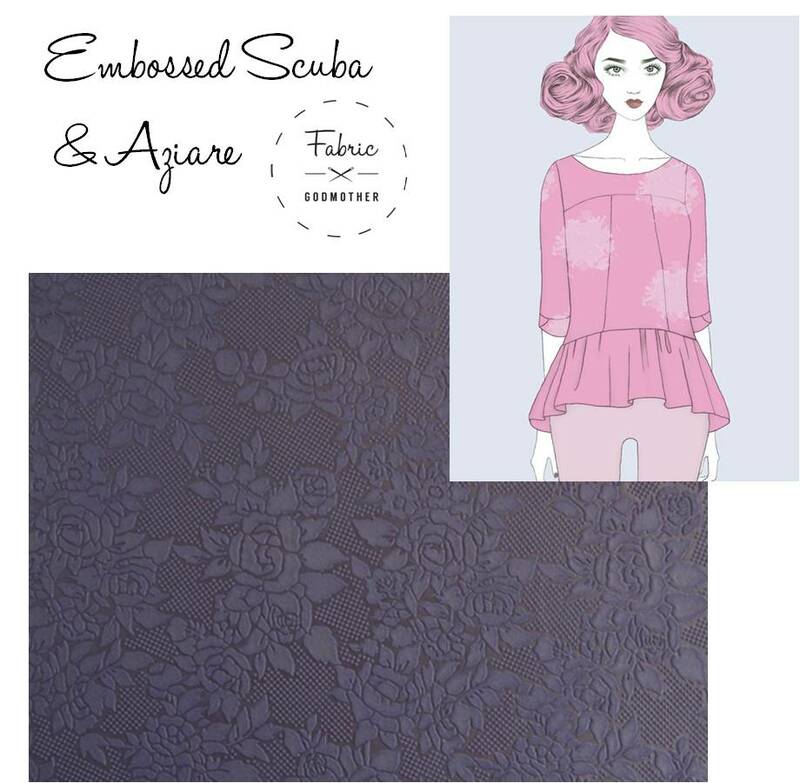 I have always been a fan of scuba as a party dress fabric. This Lace bonded scuba in Black or White is no exception. Make the most of your curves in a fitted Joan dress.